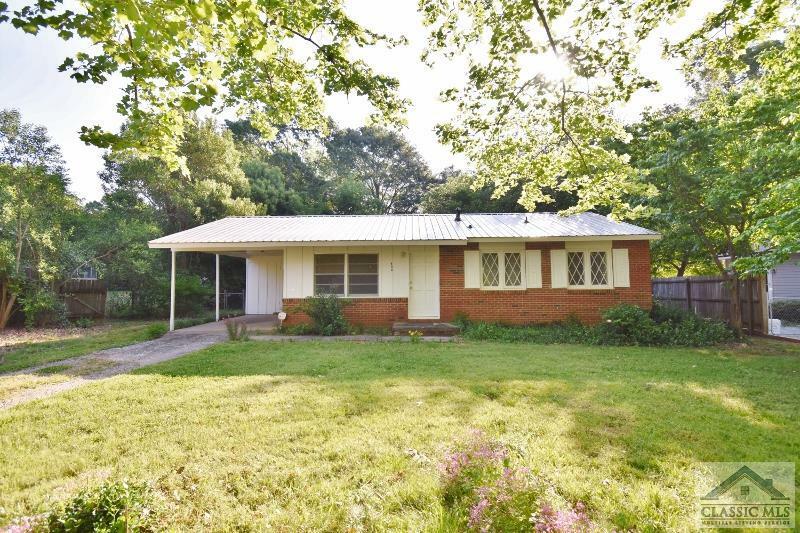 Come and see this great value in East Athens - an adorable 4-sided brick ranch with a new roof and HVAC components replaced in the last three years. This move-in ready home is great either for an investor or end user, with abundant possibilities for updating and opening up the floor plan. Hardwoods adorn the common areas and bedrooms, and new laminate flooring was just installed in the kitchen. Perhaps the best part is the wide open space in the fenced backyard, with plenty of room to entertain or let the pets run. The small shed located in the backyard provides extra storage space and will stay with the home. You won't find a home so conveniently located to Athens at such a good price, so check this one out wile it lasts! Seller is replacing electrical fuse box with a new breaker panel and also replacing water heater. East Meadow is a subdivision within the city of Athens, Georgia. There are currently 0 Homes for Sale within East Meadow, with asking prices ranging from $0 to $0. The average list price per square foot of the available inventory in East Meadow is $0, which is the Athens average of $227. The Average Sales price of all sold real estate in this subdivision for the past year is $83,000. Recent comparable homes have been selling for 96.93% of their asking price. Waterfront homes represent of the available East Meadow inventory. The population of Athens, according to the 2010 Census, is 115,452. The total number of households in the zip code of East Meadow is 15,949, with an average household size for of 2.27 people. The total number of renter households within the zip code of 30605 is 10,099, which means that 36.68% of households in this zipcode are owner occupant households. 406 Meadow Ln, Athens GA 30605 is a Home, with 3 bedrooms which is recently sold, it has 900 sqft, Other-See Remarks sized lot, and Attached,Carport parking. A comparable Other, has bedrooms and 0 baths, it was built in and is located at and for sale by its owner at $ 0. This home is located in the city of , in zip code , this County Other, it is in the Subdivision, and Appleby Mews are nearby neighborhoods.